a gourmet meal, appetizer or hors d’oeuvres, but is simple to create. Add 1/3 of the spinach leaves to a food processor and pulse until chopped fine. Add ricotta cheese, eggs, garlic, parmesan cheese, salt and pepper and mix well. Coat an 8-cup muffin pan with olive oil. Divide the mixture between the 8 cups. Each cup will be very full. 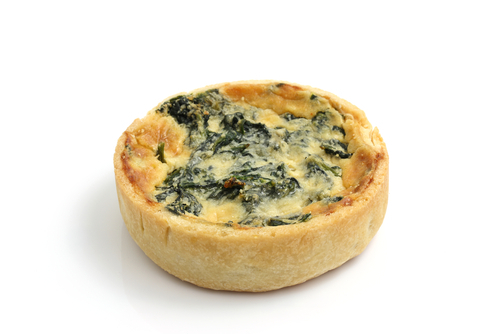 Bake the spinach cups for 20 minutes or until the center is set and springs back to the touch. Nutritional Benefits: Folic Acid, Monounsaturated Fats, Whole Fat Dairy.